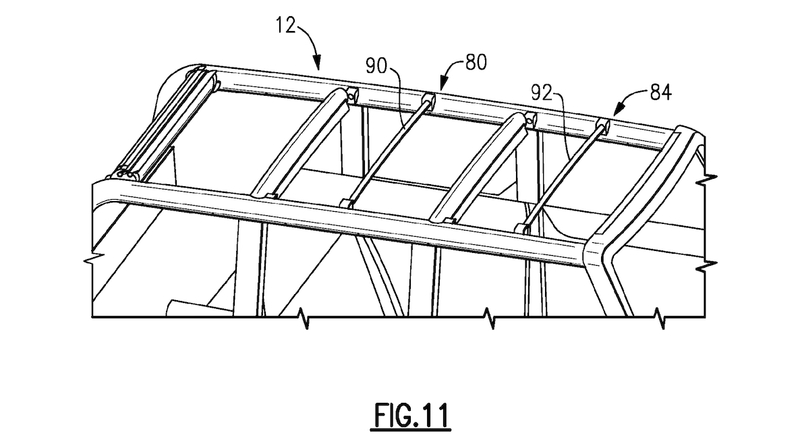 The dual-layer roof system could also act as an awning for campsites. Ever since Ford announced a project to revive the famed Bronco SUV, we’ve been excited to see the result. 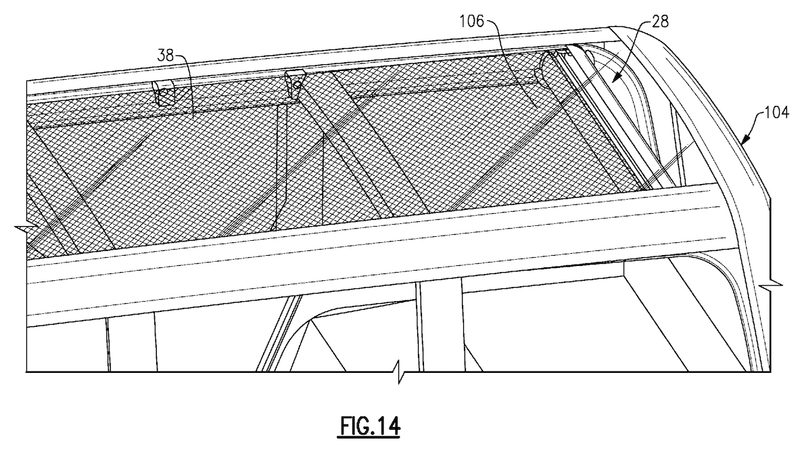 And the fever only grows upon learning that the upcoming Ford Bronco might come equipped with a retractable cloth roof, according to some patent drawings discovered by MotorTrend. 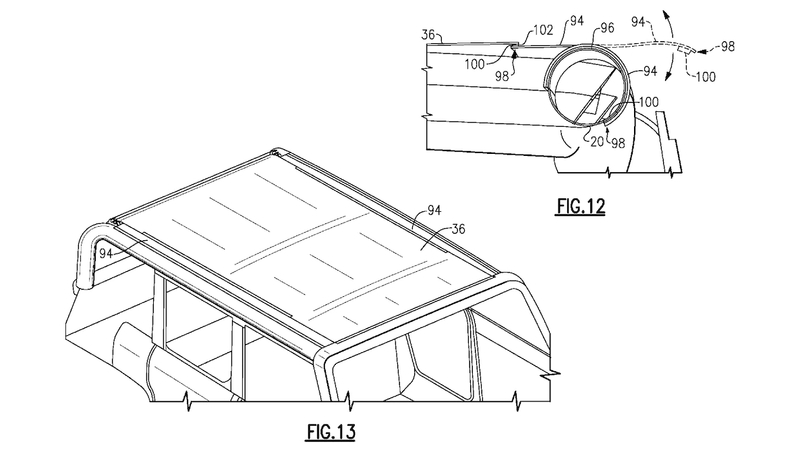 The drawings show a potential roof design and construction for a very square SUV featuring an integrated retractable cloth function. 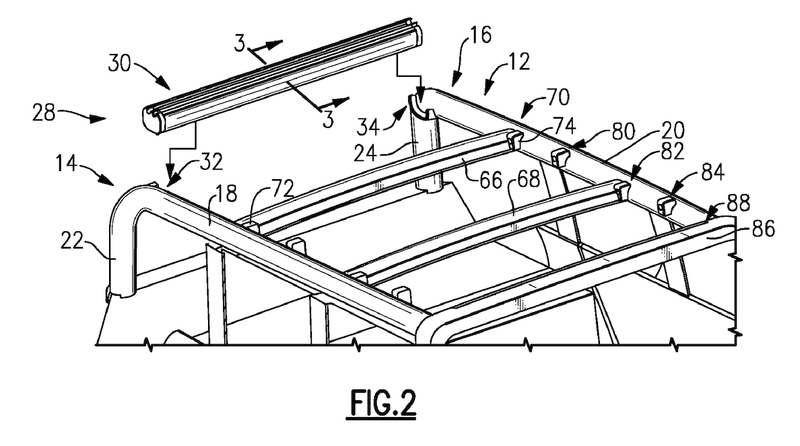 In addition, the top has a mechanism that allows it to extend backwards out off the vehicle like an awning—similar to how certain versions of Volkswagen’s famous, forbidden-fruit camper vans feature retractable awnings to act as portable sunshades. 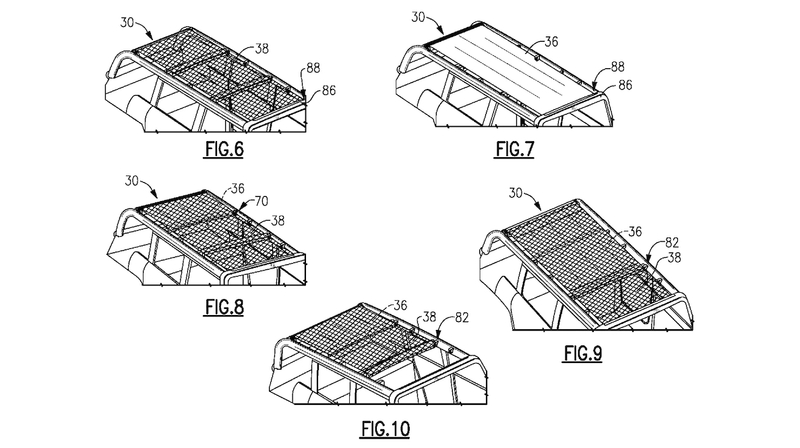 The roof in the patent drawings actually has two layers: one comprised of what’ll likely be a mesh polyester material on top of a secondary cloth part, offering two varying levels of shade and protection for occupants. It could also be entirely dismantled and removed, should drivers want a completely open motoring experience. Previous reports suggested that the Bronco revival could at least come with a removable hardtop, in addition to removable doors to offer a wide-open motoring experience. This will sound familiar to Jeep Wrangler fans; it would jibe with the company's promise that the new Ford Bronco is an "authentic" off-roader. Plus, it's an ode to the versatility of the original Bronco II. 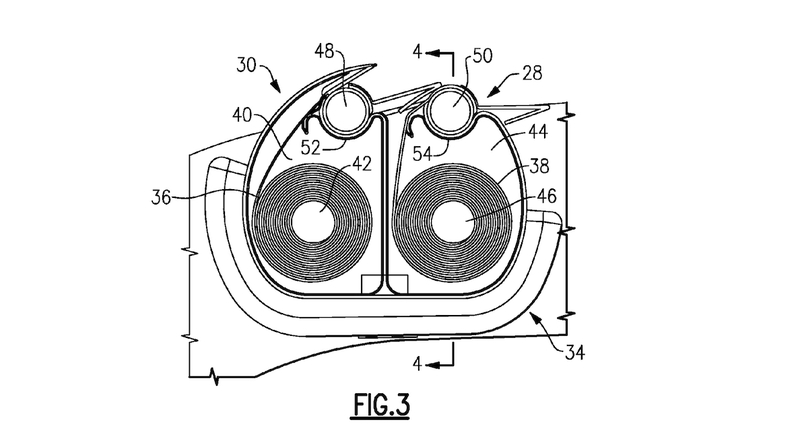 Of course, automakers file speculative patents all the time to protect ideas that might not make it to a final product. 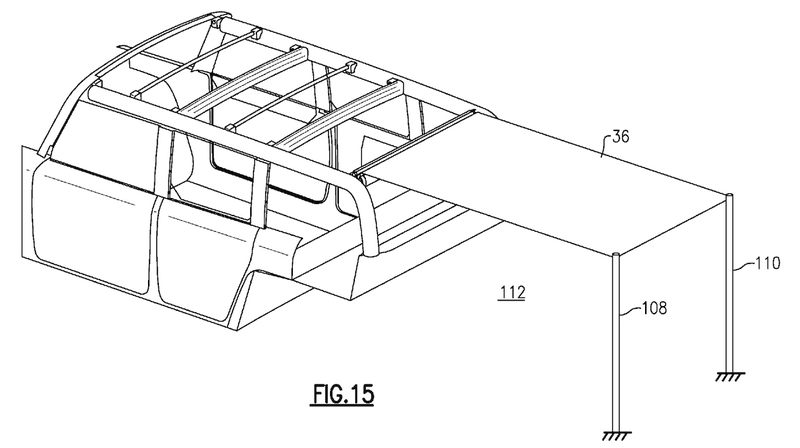 These drawings are in no way a guarantee that the Ford Bronco (or any Ford SUV, for that matter) will have a convertible cloth roof. But it's certainly something to look out for. 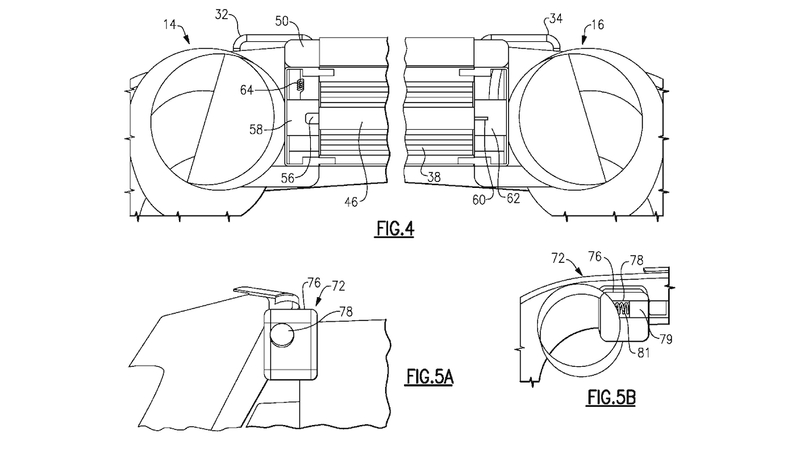 And it might explain why Ford dealers who recently saw a near-production Bronco concept called the truck a "game-changer." Ford promised a small SUV with real off-road capability to pair with the new Bronco. These images suggest it followed through.